The Unetbootin's boot menu for Linux Mint 13 Maya MATE was the same as for the Cinnamon version. However, the total boot time was longer than the "sister’s". As in the Cinnamon’s case, the screen was absolutely black for some time. Then, the mouse cursor appeared, and finally the bottom panel and the rest of the desktop came in. There were no additional questions during the system boot. The freshly booted system took just below 220 Mb of memory, which is significantly more than Cinnamon. Oh, this Maya sister has obesity! The desktop in Linux Mint MATE has the classical layout with a panel at the bottom. The left part of the panel contains the Menu button with the cogwheel icon and the "Show Desktop" button. The right part of the panel, the notification area, contains clock with date, volume control, network manager and the power button. You may notice that there are fewer icons in MATE than there are in the Cinnamon edition, for example: USB devices' monitor is not here, nor is a separate element for the panel configuration. The panel itself is in light-grey colour, which makes contrast with black and dark-grey icons in the notification area. Again, the out-of-this-theme green battery indicator is here. The desktop wallpaper is the same as in the Cinnamon edition. The same is valid for the set of alternative wallpapers. The desktop contains shortcuts to the Mint Installer, Computer, Home and the USB media. The default windows decoration theme in Linux Mint 13 Maya MATE is quite confusing: the window header has exactly the same colour as the menu bar. If you want to click the title to maximize/minimize or drag the window, you can easily click the wrong area. Luckily, there's plenty of alternative Window Border options in the Appearance section of System Settings panel. One of them, for example, is WinMe, which makes your windows look like Windows 2000 or Windows XP Classic theme. This is if you want to confuse your friends with “MS Windows on Linux steroids”. There is no virtual desktop switcher in the default Linux Mint 13 Maya MATE, but you can easily add the Workspace Switcher applet to the panel from the right-click menu on an empty panel space. As you could guess, there were no issues with wireless connection for my network card Intel 3945 ABG. It was automatically recognised and configured by Linux Mint 13 Maya MATE. However, it took system some time to connect to the network after the passkey was entered. The default keyboard layout in Linux Mint 13 Maya MATE is English US. You can configure the layouts in the Keyboard section of the System Settings panel. It was not a difficult task for me to replace the default layout with English UK + Russian with Ctrl-Shift as a switch hotkey. Once I had done this, the language indicator appeared on the panel. This indicator can only be a text, not a flag. Linux Mint 13 Maya MATE features the famous Linux Mint menu. This is the menu I totally dislike hate. It has too many sections to navigate through it easily. If you remember, I could call up the menu in the Cinnamon version of Linux Mint with the Super (Windows) key. The default key combination in Linux Mint MATE is Ctrl+Left Super key. You can configure this hotkey, although. I changed it to a simple Super key, but nothing changed straight away... read on, I will explain later. In general, the menu in Linux Mint 13 Maya MATE is the same as in the Cinnamon version. However, there are some differences. Let me talk them through. The Internet section in Linux Mint MATE lacks the Desktop Sharing application. LibreOffice Calc start-up time was less in the MATE edition, although it still made the coolers of the laptop work harder than usual. MATE edition of Linux Mint 13 does not include Image viewer or Document viewer. Instead, you get Eye of MATE Image Viewer there, which is obviously a fork of the famous Eye of GNOME. Pluma is the simple text editor in the MATE edition, where gEdit presents in the Cinnamon edition of Linux Mint 13 Maya. The default file manager in Linux Mint 13 MATE is Caja 1.2.1. Have you ever heard of it? Probably, not. But, no doubt, you know what Nautilus is: the default file manager in the majority of GNOME-based Linux distributions. Caja is MATE's name for Nautilus. Even the icon is the same! On the negative side, the issue with MB and Million-of-bytes is still here. You see, there are not that many differences. The issues with “too-many-applications-for-a-task” and with “misplaced-applications-in-the-menu” are still in place. If you want to add more applications or remove some of the existing packages from Linux Mint 13, the MATE version gives you options to use either Mint's Software Manager or Synaptic, which is named simply "Package Manager" in the menu. I tried the same operations, which I previously attempted in the Cinnamon edition, and got exactly the same results: Remmina Desktop refused to install in Software Manager without any explanations to why, while smbfs package was successfully installed. I also installed Gigolo from the Synaptic Package Manager. Unfortunately, Gigolo did not appear in the Mint Menu after the installation in the Live USB run of Linux Mint 13 Maya MATE. Unfortunately, Caja file manager refused to see the fileserver in my home network. Moreover, Linux Mint 13 Maya MATE appeared to have the same "infection" as its Cinnamon sister and Zorin OS cousin: it did no see any devices in the local network. That's why I could not mount a network partition from my fileserver. Movie Player is the default player for MP3 files in MATE, as well as it was in the Cinnamon edition of Linux Mint 13. Although, MATE has an additional bonus: you can "preview", or "pre-listen" (whichever name you prefer) to multimedia files right in the Caja file manager, when you hover the mouse over the little "play" icon on the file. Be prepared for your speakers to play music while you browse the disk! As you can tell from that, Linux Mint 13 Maya did not have any issues with playing back the multimedia files. Of course, the Mint team includes all the necessary codecs in their distributions. I could also play back Flash videos from YouTube right out of the box. Although, while testing this, I found a bug with Firefox in Linux Mint MATE: I could not detach the tab from the window by drag-and-dropping it. The right-click menu item worked well, though. If you remember from the beginning of this review, I created my Live USB stick with Linux Mint 13 Maya MATE using Unetbootin and its ability to add persistence. To check the persistence option, I restarted the laptop from the same USB drive. The result? Persistence worked perfectly. I got the same windows decoration elements, panel configuration, keyboard layouts and their indicator, and even Firefox history as in my previous session. Moreover, a couple of improvements came to the system after the restart. Gigolo application now appeared in the Mint menu. Mint menu hotkey changed from Ctrl-Super to simple Super. It is very likely that these both issues might not exist in the installed version of Linux Mint MATE, I can’t tell for sure. I still faced them in my Live USB run. 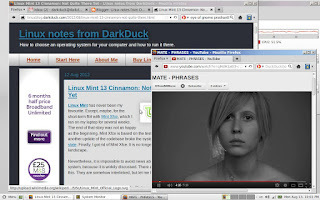 Linux Mint 13 Maya MATE is a twin sister of another distribution of Linux Mint team: Linux Mint Cinnamon. It is not identical twin, although they are very close to each other. And, as it always happens with twins, they have their distinctive features, which usually allow one of them to achieve better results. This way, I can say that the MATE distribution is more ready for users than Cinnamon is. Even though MATE is based on a relatively old base of GNOME2, nobody can say that time-proven base is worse than the shiny brand new one. Old friends are often best. Although I cannot say that Linux Mint 13 Maya MATE left a very good impression on me, it is definitely better than the impression I had after my Cinnamon run. In addition to all the previously mentioned issues with Linux Mint 13 Cinnamon, the MATE edition has another one: it is the presence of... Mint Menu! Personally, if there would be an option to swap menus between MATE and Cinnamon, I would definitely use one to improve the MATE edition even further. To enable the changed key combination you have to restart the X server, no need to reboot, although that of course also restarts X. Thank for a tip, Barnaby! I pretty much had the same experience with Mate as I did with Cinnamon. Mate did perform somewhat better for me, but I also have never like the MintMenu. I suppose if a person really wanted to use LinuxMint Mate they could replace the menu system with something a little less disorganized and a lot more simple. Something like GloMenu may work well. Anyway I did install this distro on a test partition and everything I tried did work. I have a feeling that their next releases may be better than these releases, even tho these aren't bad. I still think there may be some compatibility problems between the Mate system and some Gnome libraries, but I can't say for sure. Time will tell. Again another good review. Very good idea Jerry. Furthermore a person could even install a dock like AWN, or Cairo Dock. That's what I always did when using Gnome 2. "This is a distribution with a MATE desktop environment, which is actually the Mint team's fork of GNOME2." MATE does not come from the Mint team. The lead developer is an Arch user. Thanks for the correction. I edited that paragraph a little bit. Nope. Wikipedia says: Cinnamon is a fork of GNOME Shell, initially developed by (and for) Linux Mint. I am using both Linux Mint MATE and Cinnamon on different systems, and like the distros very much. Surely Cinnamon is unstable at times, but both distros are also well built. In contrast to other replies here, I do like the mint menus and don't feel they are disorganized. For me the ultimate test to know if linux mint is suited for general use is to install it at my parent's computer... They really had a hard time understanding Microsoft Windows, and when the computer had been seriously infected, I decided to change to linuxMint. Knowing that hell would break loose with zillions of questions within a week, I still went along and installed it. You know what? No questions at all!!! They actually found the desktop to be very intuitive and found their way through the system without any problem. So my conclusion is that LinuxMint and linux in general has grown up very much indeed. Sure there are still some nagging issues, but looking at the big picture those are rather small details. So my compliments to LinuxMint & the linux community!!!! The best OS is the one that suits your needs and where you feel comfortable. If you feel comfortable in Mint, that's your choice, that's your right. Personally, I don't much care if menus are big because for applications I use every day I start them with launchers on the taskbar. One click, done. So if I use the menu it'll be for something I expect to do a bit of prospecting for, and I don't mind if it takes up some screen real estate. For me the key feature I get back with Cinnamon or Mate is precisely those launchers, which the Gnome Shell doesn't want me to have. 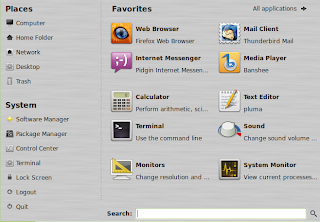 There are other DEs which give you launchers: XFCE, LXDE, KDE. ;) They are better polished than MATE / Cinnamon. Just a few comments. Since Mint is not a distribution primarily intended to be run from a Live CD/USB stick, it may be a good idea to test it in a virtual machine instead. I just installed Linux Mint 13 Mate Edition and had no problems with Remmina (I installed it from Synaptic, not Software Manager). I can also access the drives in a Windows machine with Caja without any problem (I don't use Gigolo). About Mint Menu, I'm not enthusiastic about it either, but I cannot consider its inclusion a serious issue, since (as Jerry pointed out) you can replace it with something more to your liking in about 30 seconds. I think it all comes down to this: unless you do a very thorough review your opinion about a distro is going to be strongly influenced by your particular setup and personal taste. As for me, so far I love Mint. I am happy that your installation of Mint works fine for you, and you are a happy user. However, this is my blog and I have a full right to use the methods I like, to write what I feel and so on. 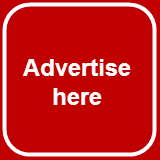 You're free to open your own blog, or write you guest post on this one. I am always open to guest posting. I want to apologize if my comments were harsher than I intended. It was not my intention to underrate your review. What I was just trying to highlight (badly) was the difficulty of testing something as complex as an OS with the limited resources (both in hardware and time) of one individual. My suggestions were just that, suggestions which of course you can dismiss, since you are the guy who does the work and gives us the results for free. PS: It just occurred to me that actually we didn't even experienced the same OS, because several months had passed when I installed it, and many updates were available in the repositories. Besides, I enabled the repository for the Mint 14 backports. That means, for instance, that the version of MATE I am running is 1.4, instead of 1.2. It seems that you used Unetbooting to create a sort of LIVE USB, similar to a live dvd or cd...is that correct? I have a brand new hard drive...never been used, and would like to dedicate it only for use with Mint MATE. How should I install MATE on to this hdd...or should I even do that? 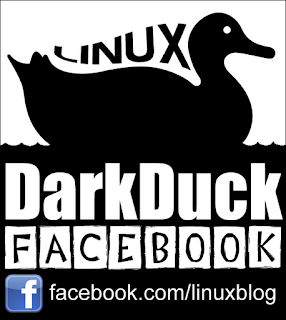 Is using a live USB a better option for system stability and functionality? I truly won't use this hdd for anything but MATE, because my other hard drive already has Windows on it ready to go in case the learning curve for MATE is quite long. So what would be the best way to install MATE considering this? Thanks for your time and thanks in advance for your help. You're right, I used Unetbootin to create Live USB to boot the operating system in Live mode. Even though you can configure Unetbootin'ed image to have persistence, it is still not the option for normal running of the Operating System. It's only the "live preview". If you have a spare HDD, then download your ISO, then either burn it to DVD or create a Live USB. Once booted from that DVD/USB, run the installation. Well guys, I'm reading reviews and comments here...To tell you honestly, I'm getting tired listening the same all over again: this is not right that is not right.Well sit down, join the Mint community and CONTRIBUTE with code to fix it. DO NOT forget you get all that FOR FREE!!! Please give some credit to the developers and donate. These guys completely transformed the muck Ubuntu became and GAVE IT TO US FOR FREE. I entered the Linux world with Slackware back in 2000 and i've been reading reviews and comments ever since. I switched entirely to Linux mint from Mint 9 and it's by far the best distro regardsless - for developing or general use. Ofcourse I respect anyone's preference. And Dark Duck, the mint menu is well better choice than Unity dash or whatever M.Shuttle calls it. Ubuntu, RedHat and Google forgot their roots in the OpenSource and started acting a bit like a famous company from Redmont telling us what we like(or not). And since you been in IT all you life, you should not have any problem with this(part of your review)"The default windows decoration theme in Linux Mint 13 Maya MATE is quite confusing: the window header has exactly the same colour as the menu bar. If you want to click the title to maximize/minimize or drag the window, you can easily click the wrong area." Keep up the good work and show gratitude to OSS developers, they do that mostly in their own time and we owe them respect. Thanks for your comment Chris. I am now a Mint user myself (along with Mageia and Debian). Although, MATE is still not my choice.